Rebekah Grace : What does a Princess wear to go to see a movie? 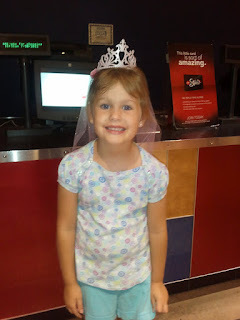 What does a Princess wear to go to see a movie? Not kidding you, but this is how my youngest Princess went to the movies yesterday. What is the funniest thing your Princess has worn out in public?